I love the happy colors used for most holiday decorations. And the month of February with Valentine’s day has such bright and happy colors. This pattern for this small quilt is from Accuquilt and goes together very quickly. because I used fusible on my fabric before cutting it out. 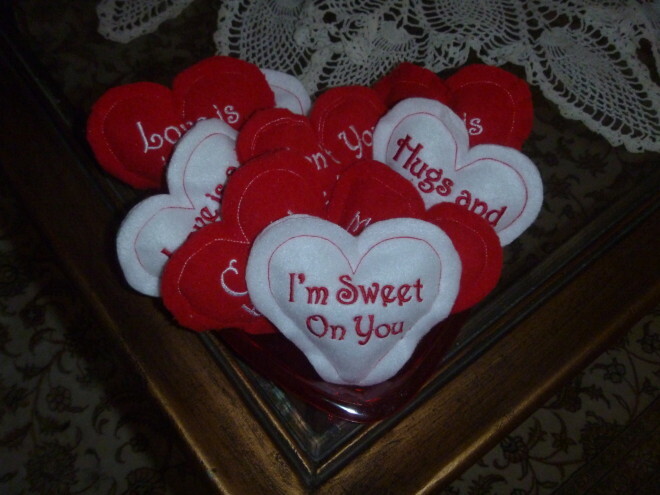 Then I just ironed the hearts on. 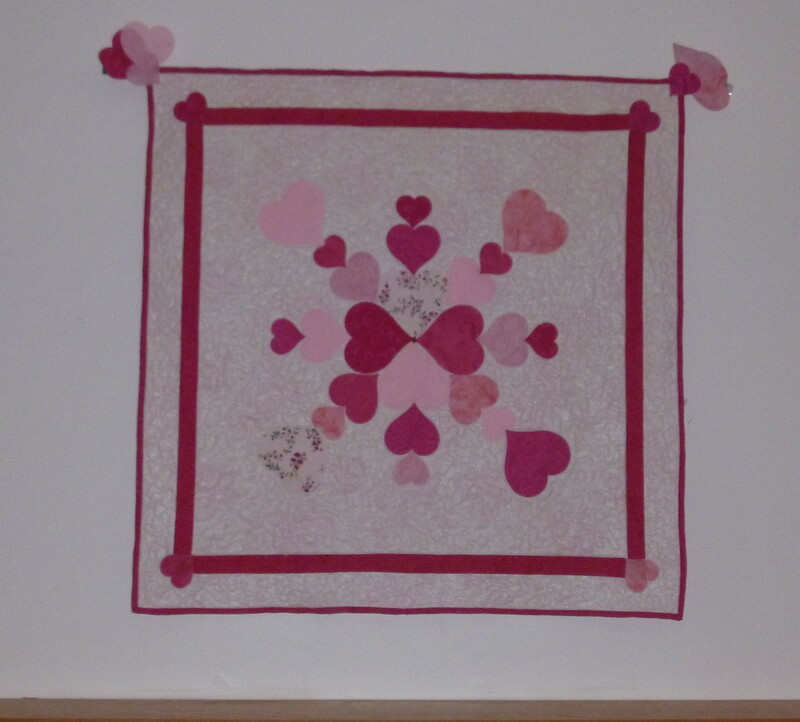 If you would like to use it as a baby quilt, it would be good to zigzag around the edges of the hearts to withstand all the laundering. These little pillows, from Charming Station again are fast, easy and have no calories! And don’t forget the table. 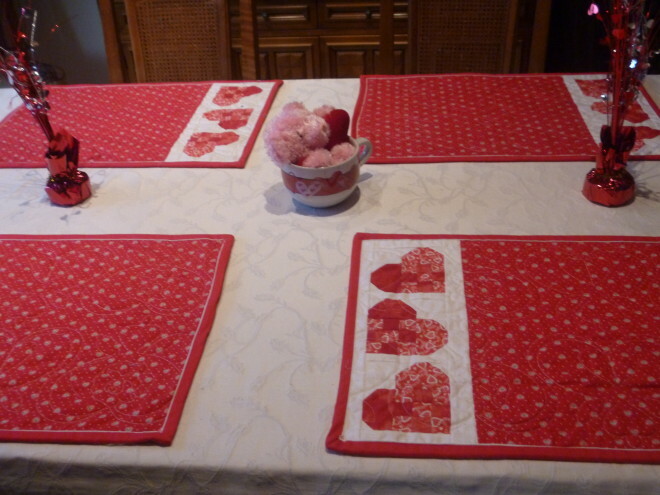 Placemats are always an easy way to put color in a room. And they are easy enough to design your own.